14" Sunburst prototype #1. Acrylic paint on acrylic glass and hardboard with pull chain activated LED light. 14" Sunburst prototype #2. Acrylic paint on Acrylic glass with pull chain activated LED light. 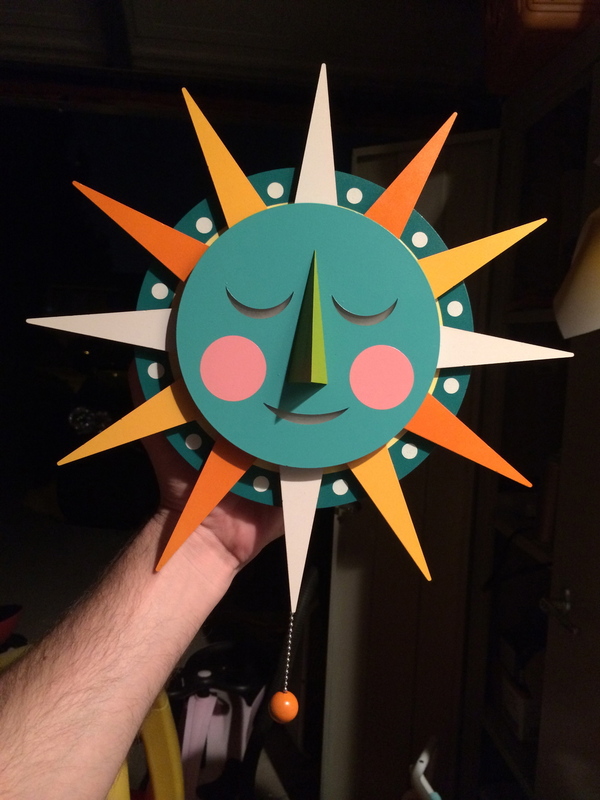 6" paper maquette for the sunburst sculpture. 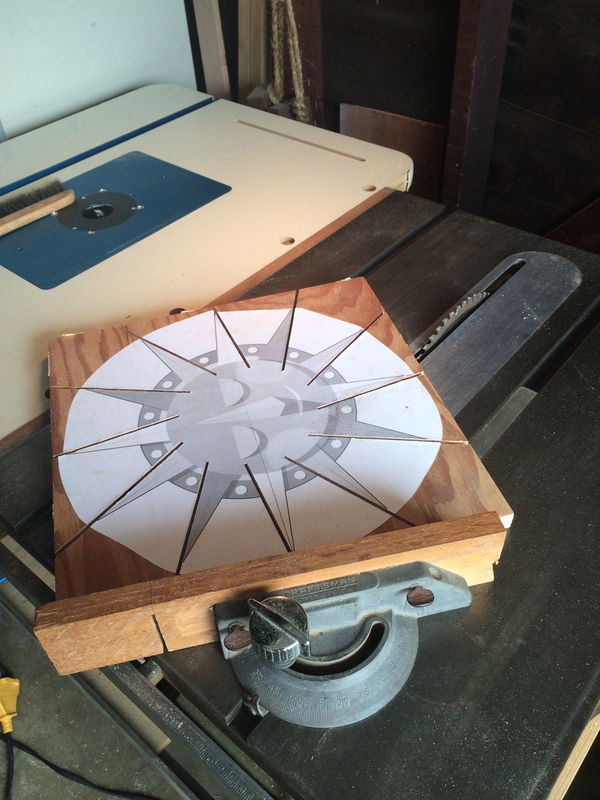 For the first prototype, I made router jigs for the sunburst shape and the various disks that make up the piece. For the second prototype, my good friend Chris helped me out with his CNC machine.